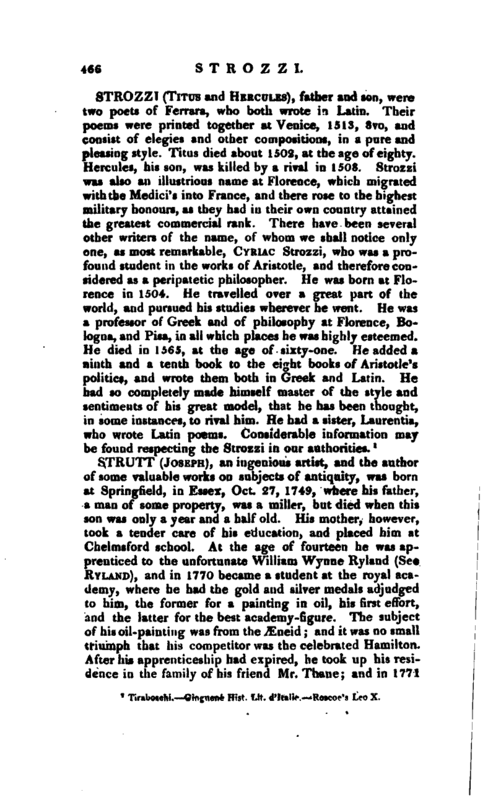 , an ingenious artist, and the author of some valuable works on subjects of antiquity, was bora at Springfield, in Essex, Oct. 27, 1749, where his father, a man of some property, was a miller, but died when this son was only a year and a half old. 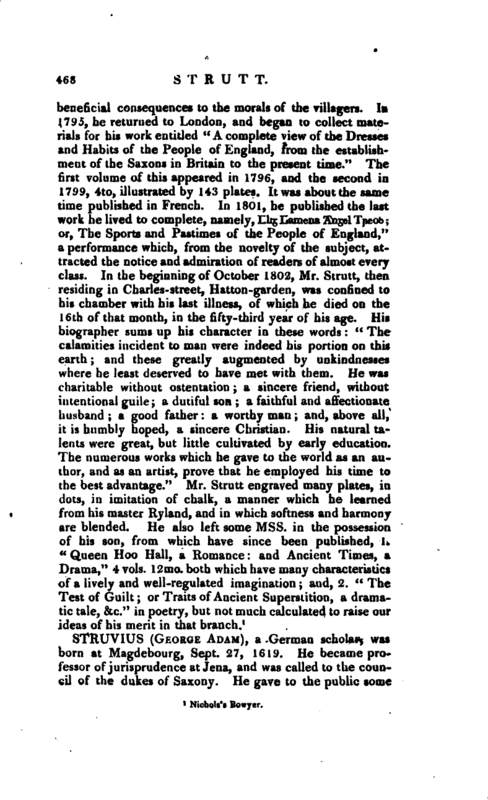 His mother, however, took a tender care of his education, and placed him at Chelmsford school. At the age of fourteen he was apprenticed to the unfortunate William Wynne Ryland (See Ryland), and in 1770 became a student at the royal academy, where he had the gold and silver medals adjudged to him, the former for a painting in oil, his first effort, and the latter for the best academy-figure. The subject of his oil-painting was from the Æneid and it was no small triumph that his competitor was the celebrated Hamilton. After his apprenticeship had expired, he took up his residence in the family of his friend Mr. Thane; and in 1771 | was first introduced to the British Museum, where he was employed to make some drawings. 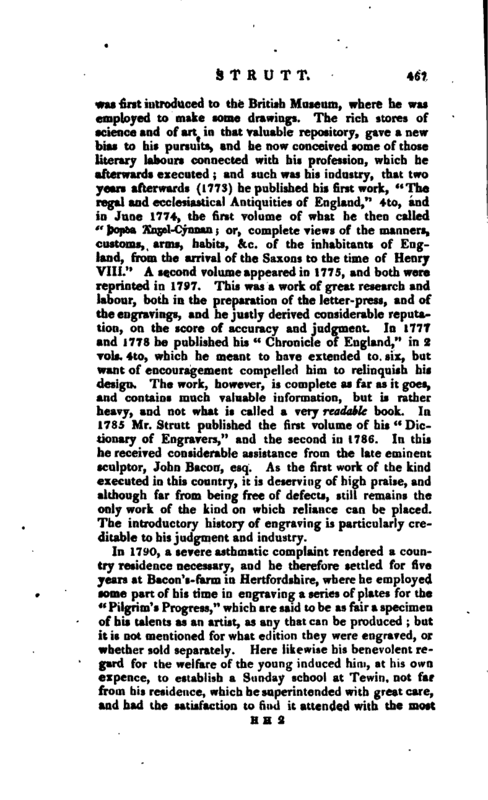 The rich stores of science and of art in that valuable repository, gave a new bias to his pursuits, and he now conceived some of those literary labours connected with his profession, which he afterwards executed; and such was his industry, that two years afterwards (1773) he published his first work, “The regal and ecclesiastical Antiquities of England,” 4to, and in June 1774, the first volume of what he then called “Jjopba TCngel-Cynnan -” or, complete views of the manners, customs, arms, habits, &.c. of the inhabitants of England, from the arrival of the Saxons to the time of Henry VIII.“A second volume appeared in 1775, and both were reprinted in 1797. This was a work of great research and labour, both in the preparation of the letter- press, and of the engravings, and he justly derived considerable reputation, on the score of accuracy and judgment. In 1777 and 1778 he published his” Chronicle of England,“in 2 vols. 4to, which he meant to have extended to six, but want of encouragement compelled him to relinquish his design. The work, however, is complete as far as it goes, and contains much valuable information, but is rather heavy, and not what is called a very readable book. In 1785 Mr. Strutt published the first volume of his” Dictionary of Engravers," and the second in 1786. In this he received considerable assistance from the late eminent sculptor, John Bacon, esq. As the first work of the kind executed in this country, it is deserving of high praise, and although far from being free of defects, still remains the only work of the kind on which reliance can be placed. The introductory history of engraving is particularly creditable to his judgment and industry.